If you are looking for a pair of tan shoes that have some flair to them then these shoes are for you. 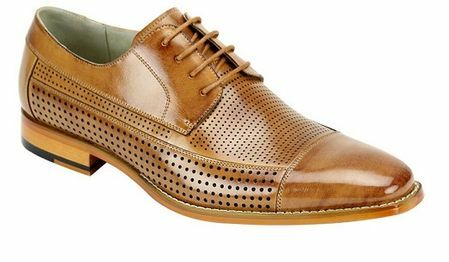 These tan cap toe perforated leather shoes are perfect to wear for a night out with your suit or blazer and jeans. Made of the finest quality leather that all Giovanni shoes are made with.